Claris Lifesciences Ltd’s (BSE: 533288) promoter and Director Aditya Sushilkumar Handa has sold 11 lakh shares on Friday, 20th April 2012. Noted Swiss private bank and Foreign Institutional Investor (FII), Privatbank IHAG Zurich AG, bought the 11 lakh shares, which comes up to a significant 1.72% stake in the company. The deals occurred at Bombay Stock Exchange and was published by BSE after trading hours. At Rs. 177 a share, Aditya S Handa has raised Rs. 19.47 crore through the stake sale. The promoter group in Claris Lifesciences holds 69% stake as per the latest Q4 Share Holding Pattern (SHP), released recently. Even after Friday’s sale, the promoter holding is a comfortable 67.28%. However, this is the first time after this pharma company’s December 2010 IPO, that promoters are selling a further stake. IHAG Privatbank’s significant buy on Friday is surprising, at least on first looks, as the buying price of Rs. 177 is more than 80% up from the stock’s 52-Week Low of Rs. 98.10 that occurred towards December end. As per the latest SHP, this FII was not holding more than 1% stake. But that also means they might have bought less than 1% holdings before Q4 end at much lower levels, and / or bought further in April. If this is indeed the first buy by IHAG Privatbank, the buy comes as a stamp of approval for the current valuations of the pharma company that specialises in sterile injectables. The FII is noted for its select presence in the Indian listed pharma space with significant stakes in Elder Pharmaceuticals and Shasun Pharmaceuticals. 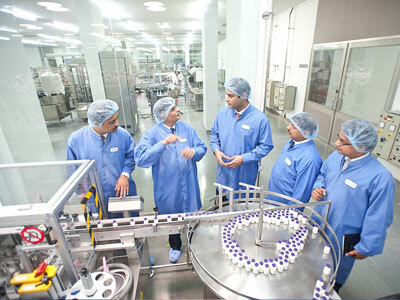 Claris Lifesciences had a difficult year in 2011 due to a re-audit ordered on one of its manufacturing facilities by USFDA. The US business was affected, and the company posted a consolidated net revenue which was down by 1.80%, and consolidated profit after tax which was down by 10.74%. StockExplain had earlier reported about a significant institutional sell in the company by Citigroup on 1st March, immediately after the results. Citi had offloaded 3.19 lakh shares at Rs. 150.16 a share. The scrip remained largely range-bound since then, and had even slipped to Rs. 135 towards March end. However, there were noted buyers too during this period. On 30th March, Morgan Stanley had bought nearly 5 lakh shares at Rs. 155.50 a share, and on 4th April, noted academician-investor Prof. Shivanand Shankar Mankekar had accumulated 6.83 lakh shares at Rs. 140.60 a share. Mankekar family member Laxmi Mankekar already held 9.35 lakh shares, much of it being bought in Q4 at probably lower levels. While the buy by Morgan Stanley had no identifiable counter-parties as sellers, the accumulation by Prof. Mankekar was largely against selling by Om Kedar Investments. All these recent buys by noted investors might be in anticipation of a full and positive resolution to the FDA issue facing the company. Without such a resolution soon, the stock seems to be in overvalued zone. The largest investors in Claris Lifescienes are First Carlyle Ventures, Tree Line Asia Master Fund (Singapore), Max New York Life Insurance Company, Laxmi Mankekar, and Copthall Mauritius Investment. Incidentally, the promoter’s stake sale and IHAG Privatbank’s buy has come on the day Claris Lifesciences started quoting ex-dividend. The company had announced a dividend of Rs. 2 per share. In recent weeks, the scrip has been noted for its high volatility. Claris closed Friday’s trade at Rs. 175.75 in BSE, down by 0.65%.